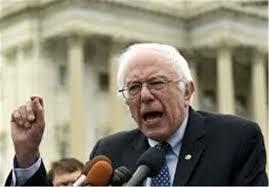 US Senator Bernie Sanders has called the Saudi-led war on the impoverished Yemen a “moral disaster” for Washington, saying counter-terrorism operations against “violent extremists” such as the al-Qaeda and the Daesh terrorist groups in Yemen has undermined by the military campaign . “Saudis do not have a blank check to continue violating human rights” said Sanders, adding that their war in Yemen, which started in 2015, has “created a humanitarian disaster in one of the world’s poorest countries. Also in the same article, Sanders pointed to the fact that fertile ground” for terrorist groups such as Daesh and al-Qaeda in the Arabian Peninsula (AQAP) to further grow in the impoverished country and “deepen” their presence there was causes by the chaos in Yemen, aggravated by the Saudi-led military coalition, “. In March 2015, the US -backed –Saudi-led coalition started a war against Yemen with the declared aim of crushing the Houthi Ansarullah movement, who had taken over from the staunch Riyadh ally and fugitive former president Abd Rabbuh Mansur Hadi, while also seeking to secure the Saudi border with its southern neighbor. Three years and over 60,000 dead and injured Yemeni people and prevented the patients from travelling abroad for treatment and blocked the entry of medicine into the war-torn country, the war has yielded little to that effect.